Summer (November – March) Temperatures reach a high in the mid-30C but pleasantly cool evenings. Excessive heat is rare and it is possible to get occasional rain. Winter (June – August) Temperatures tend to be mild during the day (16C to 20C) and normally a minimum of 3C overnight. Snow is very rare but can fall on the mountain tops in July and August. The area around Wilderness and Storms River is prone to sea mist. The coast is spectacular and beautiful mountains are punctured by tortuous passes. There are lively towns in the summer, extreme adventures and sports, sweeping beaches, challenging golf courses and, of course, wildlife and the unique fynbos vegetation.Plettenberg Bay is regarded by some as the jewel of the Garden route flanked by the Tsitsikamma Mountains in the distance. Knysna , famous for its oysters is known for its near perfect lagoon. In season the town is lively with numerous bars and fun places to eat. Search for the elusive Knysna Forest Elephants, rumoured to be the last totally free ranging elephants in South Africa. Wilderness has one of the most photographed cliff top views in South Africa. Storms River is a small village in the heart of the Tsitsikamma Forest – a temperate Rain Forest but also a place where you can bungee jump, abseil, horse ride and also enjoy the unique Tree Top Canopy Tour. At nearby Storms River Mouth are some of the earliest traces of human habitation. There are many animal related parks celebrating elephants, monkeys, snakes and birds. Bird life is amazing for its variety including the shy, but beautiful, Knysna Loerie. Whales can be seen at Plettenberg Bay between June and December. 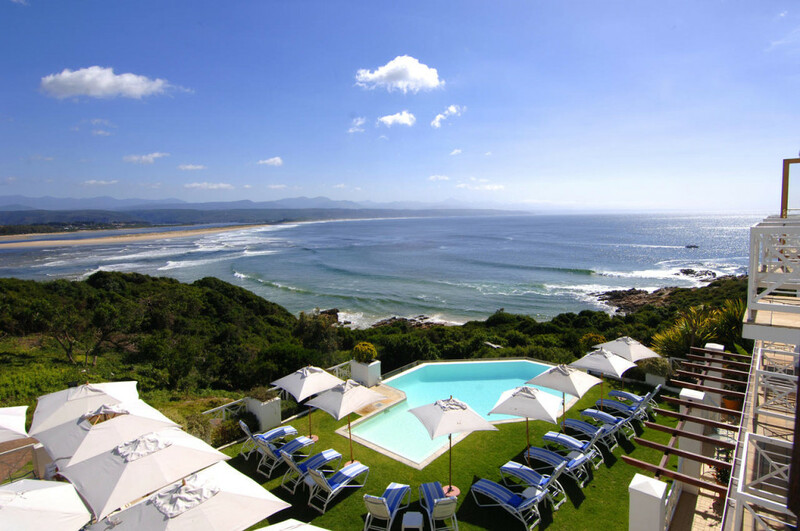 Beaches for Swimming & Surfing Plettenberg Bay, Cape St. Francis, Victoria Bay & Herold’s Bay. Beaches for Scenery & Walking Keurboomstrand, Nature’s Valley & Wilderness. Nature Reserves Robberg Peninsula (Plettenberg Bay) and the Tsitsikamma National Parks are the main reserves. Hiking The Otter Trail is a 5 day hike along the Tsitsikamma coast but book well in advance. Towns Plettenberg Bay, Knysna, Wilderness, Sedgefield, Cape St. Francis, Jeffery’s Bay and Mossel Bay are the main coastal towns. 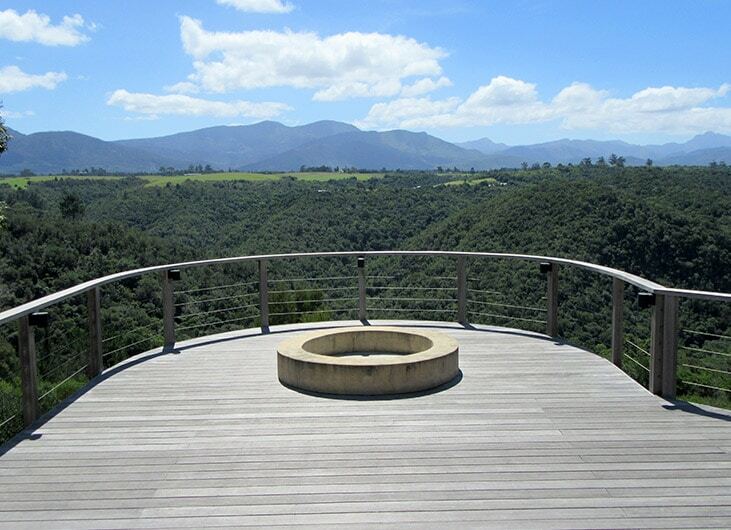 Activities Bungee Jumping (Bloukrans Bridge), Horse Riding & Tree Top Canopy Tours & much more! Golf Fancourt, George, Pezula and Goose Valley are just some of the excellent world class golf courses found in this area. Eating out is easy with many good restaurants. The Garden Route extends for 500 kms along the coastal area from Swellendam to near Port Elizabeth and is one of the playgrounds of South Africa. 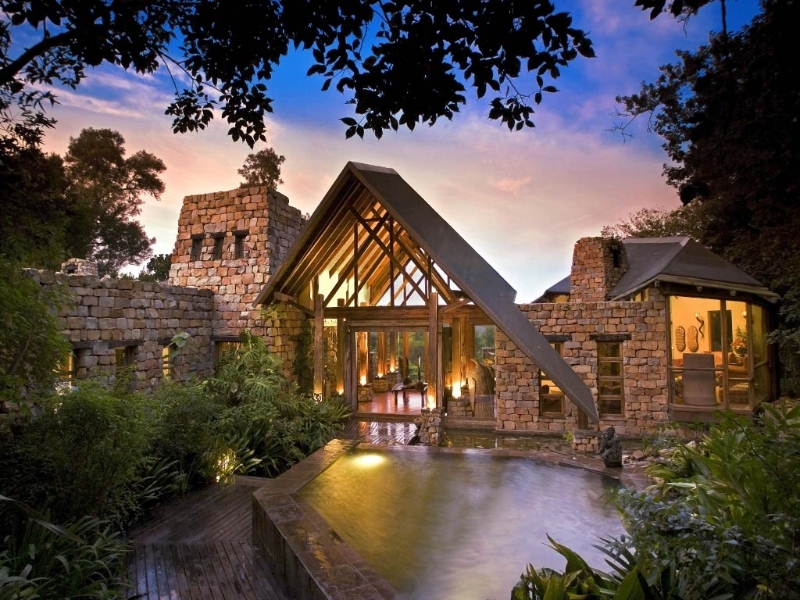 Some of the finest South African luxury hotels can be found as well as more affordable but excellent bed and breakfast lodges.